A few weeks have passed since the leaves hit the ground. Autumn brings back vivid memories from growing up in northern Idaho. 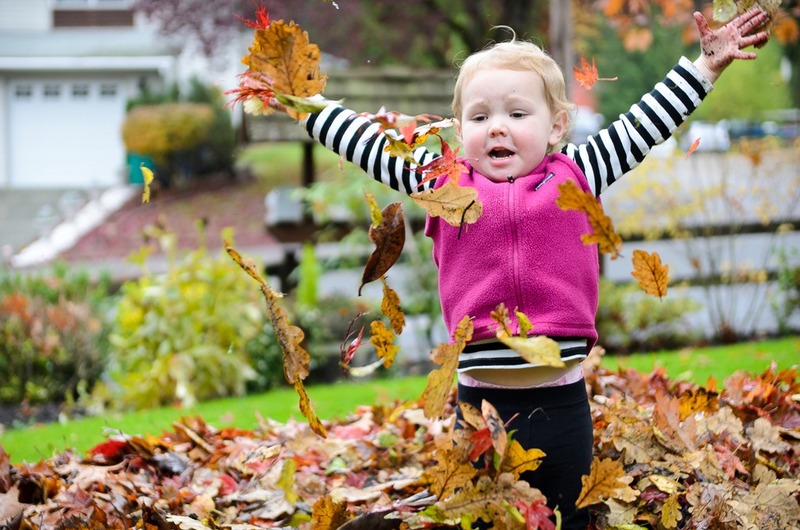 In particular I remember the fun I had with my dad in the front yard raking the leaves and jumping in the piles. Afterward there usually we would play football or soccer for a while before returning indoors. Recalling these memories I brought Molly outside to play in the big pile of maple and oak leaves in the front yard. 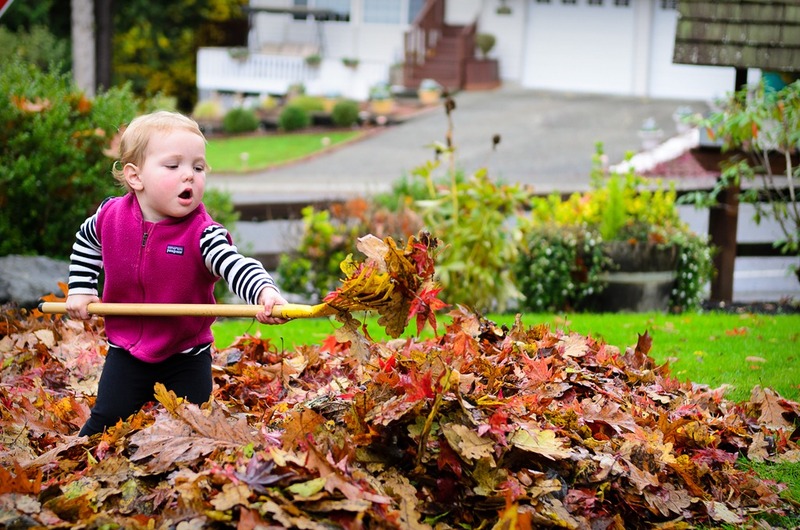 She quickly wanted her own “digger-digger” (rake) to move leaves around. Soon the “work” was all done and it was time to play.